Your wedding is a once-in-a-lifetime occasion, when you make that extra-special effort to look like a million bucks. You want the perfect gown, the perfect clutch and, of course, the perfect pair of shoes. But, before you settle for those shoes, we would like you to keep these few things in mind! Don’t stress about the price here. When it comes to buying a pair for your own wedding, there should be no compromises. This shoe is an investment, a memento and will be considered a milestone object in the years to come. Here’s a tip: try investing in a branded pair that ensures quality, value for money and is a trusted product. We know you want your wedding pair to look fab, but let’s be realistic here - not every shade will match your outfit or accessories. That’s why we suggest that you splurge on safer colours like golds, silvers, pearl whites and bronze. These colours will not only blend with your outfit, but will also create a grand getup. If the shoe fits, lucky you! If it doesn’t, move on. What we mean to say here is: no matter how pretty the shoe may be, if it’s going to give you shoe bites, it’s so not worth it. When picking a wedding pair, pay heed to its appeal, sure, and also to how comfy it is for you. The last thing we would want to see is a bride struggling in a pair she’s not comfortable in! 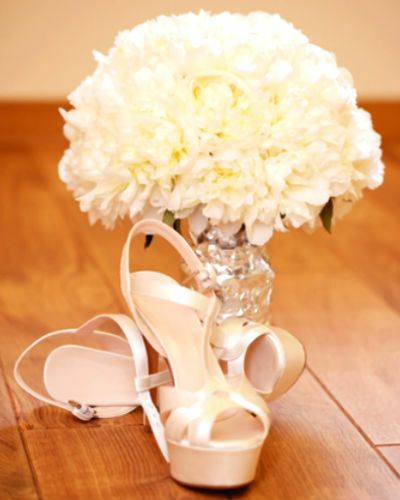 Depending on the type of wedding outfit, pick a shoe that works best with it. If you’re wearing a lehenga opt for wedges or kitten heels (the comfier, the better). If it’s a gown, stilettos should do the trick. An opened-toed pair works best for a sari. God forbid that your wedding shoe breaks during your big day! That is why you should be prepared with a backup. It doesn’t have to be as fancy as "THE" pair, but it should be nice enough to pass muster. Its purpose is to aid you when you least expect it. While you're wearing your stunning pair of shoes, don’t you want your feet to look the same way? Make sure your nails are clipped and shaped to a moderate length if you’re sporting a closed pair to avoid discomfort. If it’s sandals that you’re wearing, keep your nails at length and paint them a vibrant colour. And no matter what kind of shoes you're wearing, you do NOT want the effect ruined by cracked or chapped heels, do you? So what are you waiting for? Fix an appointment at the nearest salon and start pampering yourself! Walking in a pair of heels is like cycling. If you can’t keep your balance, you're going to end up on your bum. Since no one wants you to experience that on your big day, you better start practicing at least a month in advance! Besides, this also gives you a chance to break the shoes in a bit, and familiarize yourself with things such as niggling shoe bite issues and such. If it’s on a lawn or an outside space covered with carpeting, make sure you’re wearing wedges, flat heels or kitten heels. (Look out for pairs like this one.) Nothing too pointy, as it will make things uncomfortable for you. If it's indoors, you have more options. But if marble flooring is involved, make sure your soles have some grip - you do not want to be skidding in your wedding regalia! Make sure you do a lot of research before picking up a pair. Check stores online and around you before settling for the one. Your biggest regret could be picking up a pair and then spotting a nicer pair for a better price somewhere else - and we don't want that for you. 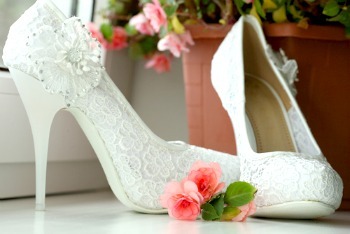 Don’t shop for your wedding shoes in a hurry; start looking out for them months before your big day. 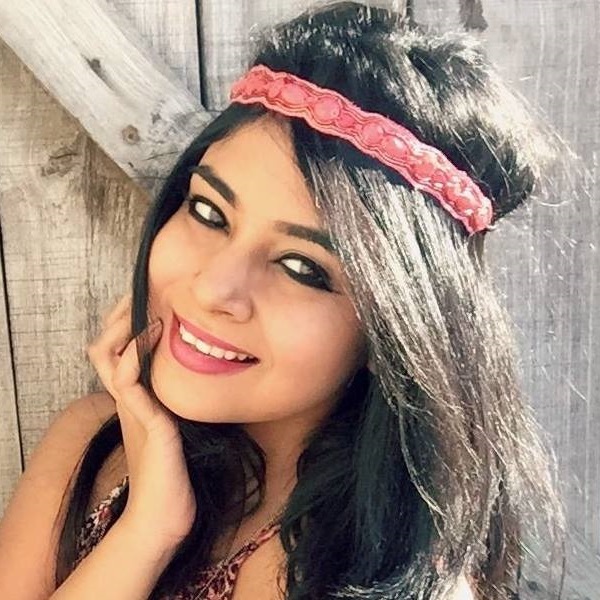 Here are a few great online stores to help you get started on your hunt: Amazon India, Jabong, ASOS, Forever 21, Zara, Clarks, Nordstrom, Metro, Fashos and Zappos.